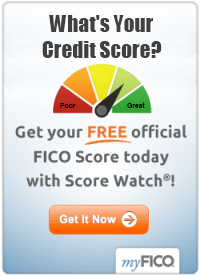 Looking for credit cards for poor credit ratings? It is difficult to qualify for a standard, unsecured credit cards if you have a low credit score. As a result of the financial environment, card issuers are stricter about whom they're willing to approve. Despite having a bad credit history, if you do find an unsecured card for which you qualify, it probably has high interest rates, penalties, and fees. And these are the last things you need when you’re trying to improve your financial situation and credit worthiness. Typically, consumers with a credit score of below 660 are known as subprime consumers. The average annual percentage rate (APR) on credit cards for subprime borrowers is typically around 20% or more. The average APR for customers with credit scores between 660 and 719 is about 17%, and the average APR for customers with excellent credit scores that range from 720 to 850) is about 13%. APR isn't an issue if you’re trying to rebuild your credit since you will likely be paying your bills in full each month. (Actually, paying bills in full each month is key if you are recovering from debt and rebuilding your credit rating. So, while the APR may not be a concern, high fees are a problem because they can cost you significant dollars over the life of the card. When shopping around for credit cards for poor credit, it’s important to read the fine print carefully. Many credit cards for those who have poor credit have sky-high interest rates and fees. Your credit card debt could become unmanageable quickly if an unexpected expense pops up and you’re unable to pay your monthly credit card bill. So, what is your best option for selecting among available credit cards for poor credit? Choose an institution that offers a "secured" card. Secured credit cards require a deposit of your own money that helps fund your use of the card and is used against the credit limit. This helps protect the issuer and entitles you to a lower interest rate and related fees. When you pay off your card each month, you will begin to re-build your credit rating over time. Before applying for a secured credit card, evaluate a number options since institutions vary on the terms for their cards. When shopping around, compare APRs, related fees, billing timing relative to your purchases, and payment cycles. Confirm that the secured credit card issuer reports your payment history each month to the three major credit bureaus – Equifax, Experian, and TransUnion. Click here to learn about these bureaus: Credit Reporting Bureaus. In addition, ask issuers if their secured credit cards can be converted into unsecured cards after one year (or longer) of on-time payments. 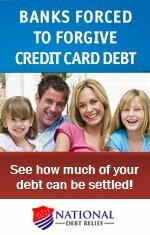 Inquire about interest rates and fees once the secured cards are converted. No matter what kind of credit card you get, always maintain your account balance well below the credit limit and never miss a payment. Moreover, be strict about paying your bill in full every month so that you’re never paying any interest. By using your credit card responsibly for a year or longer, you will begin repair your credit history and raise your credit score. Click here for other help on the topic of credit cards for poor credit and review the related articles listed below.